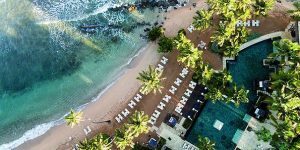 Having been deeply connected to the recovery of the island it calls home, Dorado Beach, a Ritz-Carlton Reserve this weekend hosted a star-studded celebration aimed at inspiring travelers to return to Puerto Rico. More than a year in the making, this capstone moment bought together influential celebrities and philanthropists, as well as those who have been instrumental in the island’s rebuilding efforts, including humanitarian chef and author of The New York Times bestselling “We Fed an Island” José Andrés. 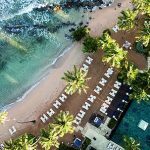 From Friday, November 9 through Sunday, November 11, 2018, socially-minded celebrities and tastemakers joined the magnificent resort in raising their voices to not only celebrate the recovery and resurgence of Puerto Rico, but to let travelers across the world know that the island is ready to welcome visitors with open arms. Images from the weekend can be found here and video footage is available here. Over the course of the weekend, high-profile guests enjoyed spectacular and exclusive performances by Questlove, Grammy and Tony Award Winner, Leslie Odom Jr. of the original cast of Hamilton, the Puerto Rico Philharmonic Orchestra and Tony Okungbowa, as well as a memorable Chefs of Puerto Rico event hosted by Chef José Andrés in collaboration with the island’s most elite culinary talent. Perhaps the most moving moment of the weekend occurred on Saturday evening when Tony Okungbowa invited guests to join him in a ceremonial blessing of the island. Hundreds of well-wishers tossed herb satchels into the flames of a beach bonfire as inspired by Puerto Rican tradition and with them their hopes for a bright future for the stunning island. Uma Thurman, Neil Patrick Harris, Mariska Hargitay, Martha Stewart, Coco Rocha, Gayle King, Cynthia Rowley, Deborah Roberts, Helena Christensen, Jackie Cruz, Al Roker, Jane Krakowski, Marcia Gay Harden, Michele Hicks, Alex Lundqvist, Sophie Sumner, Valesca Guerrand-Hermes, Dree Hemingway, Erich Bergen and more. More information about Dorado Beach, a Ritz-Carlton Reserve can be found at www.doradobeachreserve.com or by phone at +1(787)626-1100.